The way in which Project Fear has saturated both sides of the official European Union referendum campaigns is reason enough to reject them and replace Westminster’s discredited political system with Project Real Democracy. The dust still has not settled on the disturbance of traditional politics in Dublin, with no new government elected – or perhaps, electable – in the new hung Dail. Ireland’s general election on Friday is in fact a crisis election where the coalition government faces a population suffering the pain of harrowing austerity politics. The result could lead to a profound crisis in the Irish state. The super-rich and the corporations dominate and manipulate the democratic process, says Beverley Trounce. She believes that Jeremy Corbyn’s election as Labour leader could make a difference. Parliament’s vote to join in the bombing of targets in Syria, with a majority made respectable only with the backing of 66 pro-war Labour MPs, will do nothing to defeat Isis and everything to stoke international tensions and a drive to war. Those campaigning for a new, democratic constitution can take heart from the fact that the present one is crumbling in front of our eyes. The conflict between the Lords and Commons over Tory plans to scrap tax credits is just one of many breaking points. Dear Jeremy Your stunning landslide victory in the election for leader of the Labour Party reflects the power of a seismic social movement for democratic change which already reverberates far beyond Westminster. Jeremy Corbyn’s barnstorming campaign for the Labour leadership is intensifying the fear and panic at the top of a party that is displaying all the signs of fragmentation and a collective nervous breakdown. The Tory election victory cannot disguise the continuing break-up of the political-state system of rule and will actually hasten it. Over 75% of the UK electorate is unrepresented in any meaningful way while Scotland’s anti-austerity aspirations are blocked. A tired, outdated and unrepresentative political system is unravelling before our very eyes amidst a general election campaign that has degenerated into outright deception and desperation on the part of the mainstream parties. The Tories’ proposals that only MPs with seats in England should vote on laws that relate solely to England is more than just a political manoeuvre that they calculate will bring them electoral advantage over Labour. Their plan is a further indication of the break-up of the current political arrangements. These are under immense strain from a range of internal and external processes which together constitute the end of democracy – at least as we have come to know it. The meltdown of the UK political order is now self-evident and indisputable. From Scotland, to Clacton to Manchester – the message is more or less uniform. Voters are rejecting the mainstream parties in a big way. The populist electoral revolt against European Union state institutions and their policies – combined with mass abstentions – is the clear signal that the old politics is not just dying but is opening the door to rabid nationalism, racism and neo-fascist parties. The Ukraine-Russia crisis is just one expression of dramatic changes that are taking diverse forms in different countries. Nevertheless, there is an essential unity to a fast-moving global crisis that embraces economy and finance, ecosystems, democracy and politics, culture and ideology. Standard Life's statement that in the event of a “Yes" vote in the Scottish referendum they would leave Edinburgh, forcing 5,000 employees to choose unemployment or emigration, shows up the narrowness of the independence debate so far. Admitting that it has lost touch with “its customers and members and with the communities in which it operates”, the Co-op is at a crossroads. After the near collapse of its bank, the Co-op is asking anyone and everyone to help determine the organisation’s future direction. Following Ed Miliband’s speeches is a thankless task for a number of reasons. They are more often than not vague and full of phrases devoid of any obvious content. But dig a little deeper and you will find an agenda that promises a reactionary continuity in British politics. When Labour’s national executive committee today rubber-stamps plans to “reform” the party’s historic relations with the trade unions, it will put the finishing touches to a long-term project to bring the party’s organisation into line with what it actually stands for. Lest anyone is under the illusion that job centres are there principally to help the unemployed find work, a quick read of a new report by a parliamentary committee will prove salutary. What shines through is a harsh sanctions regime enforced by management under government orders to make life hard for claimants. Still smarting from an attempt at a citizen’s arrest earlier this month for war crimes over the illegal invasion of Iraq, Tony Blair is now recycling noxious neo-con, pseudo-theories in telling us that modern wars are predominantly the result of religious conflicts. The ConDems claim that pay for most rose faster than prices in the year to April 2013 is a con trick that cannot disguise a rapid growth in inequality of household incomes since 2008. And with another credit-fuelled frenzy under way, a second crash is much more likely than a “sustainable recovery”. Has Bob Geldof joined Russell Brand in seeing the political light? For more than 30 years, Geldof has thrown himself into numerous humanitarian projects, starting with his famous Band Aid single in 1984 and the subsequent Live Aid concert to draw attention to famine in Africa. Poverty, hunger and inequality haven’t gone away despite the best efforts of Geldof and countless others. Ed Miliband’s half-baked proposals to increase competition between high street banks – not exactly a burning issue for most working people – just about sums up the Labour leader’s vision of the “responsible capitalism” he champions. Vote Balls get Clegg. Why bother? In 2010, Labour joined in the general vilification of Lib Dem leader Nick Clegg for choosing the Tories over them after the general election produced a hung parliament. Now, with the next election on the horizon, Labour’s tune is changing. Chancellor George Osborne believes he has found a way to secure continued support from the Tories’ corporate backers while embarrassing Labour sufficiently enough to keep Ed Miliband’s party backing austerity policies into the distant future. When the smoke has cleared in the exchange between Michael Gove, the education secretary, and Tristram Hunt, his Labour shadow, over how to assess the First World war as we approach its 100th anniversary, we are back almost exactly to where the major parties were in August 1914. Thirty years ago, a group of determined workers challenged the power of the British state. How close the miners came to defeating the Thatcher regime – with some Tories fearing a “revolutionary” confrontation – is revealed in cabinet papers released today. If last year witnessed the sudden and unexpected eruption of mass movements in countries from Brazil to Turkey, then 2014 is certain to see countless millions in many more countries become part of what is a global street upheaval. Positioning yourself to the left of One Nation Labour, as it now prefers to be known, is an easy enough task. Building a new party that can mount a successful electoral challenge to Ed Miliband’s austerity-lite “responsible capitalism” crew is more fraught. We all know that wide swathes of the global media are dominated by celebrity nonsense which breeds a deep cynicism towards the entertainment industry. But when celebrities like Morrissey, Russell Brand and now Antonio Banderas suddenly speak out against the status quo, something else is happening. Why the political establishment has reacted so sourly to Russell Brand’s call for people not to vote and to think about revolution instead, should surprise no one. The comedian touched a raw nerve because the old politics is dying on its feet. Demonising migrants and minorities is not just the privilege of the Tories. You only have to listen to the latest reactionary remarks of former New Labour cabinet minister David Blunkett to realise that. If Ed Miliband believes that giving employers a tax break to pay the “living wage” will restore, in his words, the broken link between “growth and prosperity”, he is even more cynical and opportunist than we thought. As Russell Brand’s simultaneously visceral, emotional and intellectual case for revolutionary change goes viral, respected Pulitzer prize-winning US journalist Chris Hedges, arriving at the same conclusion, goes even further than the comedian. Behind the rip-off increases in gas and electricity prices announced by British Gas is an industry dominated by six secretive corporations who take their cue from the international energy market to drive up profits. In the country where people work the longest hours in Europe and have the least leisure time, where real wages are what they were two decades ago, councils are fixated on building new shopping and leisure facilities. All in the name of “regeneration”. Picture this graphic illustration of Two Britains. While hedge funds and big investors can choose whether to cash in on the Royal Mail sell-off, the choice for thousands of older and disabled people is whether to go thirsty or go to the toilet. In defending him against the malicious Daily Mail, Ed Miliband struggles to depict his father Ralph as a man who “loved Britain” while at the same time distancing himself from his actual views. Move over Nigel Farage and your eurosceptic-patriotic Ukip outfit. If you want real social populism (as opposed to social-ism), Ed Miliband and his One Nation Labour are the better brand, or so he would like you to believe. Ed Miliband says he wants to halt the “race to the bottom” in wages, jobs and employment rights. All fine sentiments, except that when it comes down to policies, Labour is in its very own race to the bottom over immigration. Over the weekend, rebranded One Nation Labour will almost certainly vote for proposals to end the historic relationship between the trade unions and the party they founded over a century ago. We live in a Britain where a clear majority see themselves as working class, where trust in politicians continues to plummet and where new generations are the least likely to have party loyalties and to vote at general elections. The governing parties’ surprise defeat in last night’s vote on Syria is just as much a reflection of the immense distrust of the political class across the board as it is a general desire to prevent another in a long line of military adventures. As Labour prepares to terminate its historic relationship with the very trade unions that founded the party, the questions of democracy and representation assume an even greater importance. What a day! There was wall-to-wall media coverage of just one of 370,000 babies born yesterday around the world and confirmation that Labour is pressing ahead with plans to break its current links with the organisations that created the party in 1900. The People’s Assembly Against Austerity, the first major rally against the ConDems’ austerity programme since last autumn’s TUC demonstration, showed that many rank-and-file activists are looking for a way forward that is beyond protest. The powerful response to the call for the People’s Assembly against Austerity on June 22 confirms that the build-up of opposition to the ConDem cuts is reaching boiling point, presenting a unique opportunity to move beyond resistance. The living standards of British workers are being progressively destroyed, during the longest slump in the modern age as the capitalist recession takes its toll on the only people who create value in society. Lawyers are normally known for their measured language. But their anger over the government’s pseudo-consultation over cuts to legal aid which will undermine defendants’ rights, knows no bounds. The rise of Ukip and the parallel break-up of the Tory Party are part of a wider malaise across Europe that poses a threat to the established order. What happens next depends on whether we can get our act together in the face of growing reaction. Westminster is fast becoming the political equivalent of an emerging black hole, with the political elite engaged in an increasingly futile struggle to overcome the collapse of their own system into a region where nothing, including light, can escape. The plaque commemorating 17th century Leveller leader Colonel Thomas Rainsborough, unveiled in a Wapping churchyard yesterday, appropriately comes at a moment when a modest civil war has broken out about the country’s history. Political turmoil is not just engulfing the Tory Party over an in/out referendum on Europe. It is about to break over Labour in a big way as its Blairite wing gears up for a massive push against what they consider a weak Ed Miliband leadership. The massive vote for Ukip in the English local elections alongside its second place in the South Shields by-election is confirmation, if any was needed, that the political system is dying on its feet. We have now entered a period of the known unknowns. The Treasury is trying to frighten Scots out of voting “Yes” in the 2014 referendum on independence over the question of what a currency union based on the pound would mean. But George Osborne is hardly in any position to lecture others. Place yourself for a moment in April 1982. Margaret Thatcher is a deeply unpopular prime minister. Unemployment has risen to over three million for the first time since the 1930s. Trade unions have staged strikes and protests against her government’s policies. In their desperation to elevate Margaret Thatcher into a figure who will live on in the hearts of the British people for all time, the Tories are playing with fire. A latent hatred of her policies has re-emerged and the state she regularly deployed is back in action against opponents. Scotland's SNP first minister Alex Salmond is basing his plans for the country's future on the ideas of Scottish Enlightenment thinker Adam Smith. He told an American audience he would be looking to both of Smith's great works - not only The Wealth of Nations but also the less well-known Moral Sentiments. Margaret Thatcher was a class-war warrior who dragged British capitalism screaming into the 20th century at the expense of millions of working people. She lives on in the shape of leaders of the main parties who, in a variety of ways, espouse her reactionary policies. The sheer arrogance of the Tories and their Lib Dem poodles as they go about making the poorest and the most vulnerable targets for benefit cuts increasingly makes them resemble the French court on the eve of the revolution of 1789. The campaign against the “bedroom tax”, with over 660,000 households due to start losing significant amounts of housing benefit from Easter Monday, has exposed the duplicity of a Labour leadership that has tried but failed to hijack the protests. Earlier in the week, the key message from the Italian elections was that support for traditional politics was in free-fall. Yesterday, the point was reinforced in the Hampshire town of Eastleigh where the by-election result is likely to kick-start a political crisis at Westminster. It’s reached the point where you need a high-powered microscope to detect the differences between the major political parties. If there are any, they are at sub-atomic level as the much-heralded speech on the economy by Ed Miliband demonstrates. Britain is failing young people on every front and you have to wonder if the state has any concern for their future at all. From massive unemployment to deaths in prison, to the impact of the cuts – young people are victims of a massive onslaught. Promoting his new book, former US vice-president Al Gore says that the country’s democracy has been “hacked” by corporate interests. Well, despite hacking being deemed a criminal offence, no arrests appear imminent when it comes to big business. If there was ever a government intent on getting blood out of a stone, then it is the ConDem coalition. Yet a revolt is growing over the plans to impose a “bedroom tax” and cuts to council tax benefits from April 1. Some are even suggesting it could be Cameron’s poll tax moment. Romanians and Bulgarians will be entitled to come to Britain and work at the end of this year because they are citizens of a European Union member state. However, the ConDem government is working on a publicity campaign to dissuade them from leaving for our sunny shores. Most people were aware that the cuts would be harsh and affect the most vulnerable in society. But now religious figures around the country are joining with charities to point to deep privation amongst large numbers of families, long before the full range of cuts are implemented. Citizens in Glasgow are up in arms over a council proposal to transform historic George Square, into a corporate “retail-led” space with crass “public art”. Many rightly see it is an attempt to drive the political and social life of the city out of this important square. So the race to the bottom continues as Labour and the Tories try to outflank each other by getting tough with the unemployed, the disabled and “benefit scroungers” in general. How will the readers of the Daily Mail and other right-wing papers distinguish between the two? Do some global corporations behave “immorally” when they set out to reduce their tax bill to a minimum through a variety of dodgy but apparently legal devices? Or are they simply acting out their own morality play? The dispute over statutory (backed by Leveson, Miliband, Clegg) or non-statutory regulation of the press (Cameron) is really no dispute at all. Because regulated or not, the press will as a whole always remain hostile to the interests of ordinary people. The apparent rise in support for the right-wing, populist Ukip in the polls is further evidence of the break-up of traditional party alignments which we saw at the 2010 general election and the break-down of Westminster parliamentary politics. As austerity deepens, with spending cuts stretching into the far horizon, there is a renewed focus on the tax that corporations pay, or rather don’t pay. Some argue that if they paid their “fair share”, cuts in services like health and care would not be so severe. Creating a real democracy to replace our deficient, defective system is obviously no simple task. However, the positive outcome of an assembly called around producing an Agreement of the People for the 21st century shows that the project is gathering momentum. If you are looking around for arguments that boost the case for creating a real political and economic democracy in place of the sham one we live under, then this week has seen them piled one on top of the other. As there now appears to be a new convention in public life in the shape of “stepping aside” while inquiries take place into incompetence and/or misleading broadcasts by the BBC, surely there are grounds for extending this practice into political circles as well. What happened in Germany during the 1930s does have crucial parallels in today’s economic and political crisis. So the start of a new television series about the rise of Adolf Hitler being broadcast by the beleaguered BBC tonight is timely. The resource-draining Private Finance Initiative foisted on public sector projects by New Labour is helping to create the conditions for the break-up and privatisation of the National Health Service. “Democracy has recently become extremely important and the key issue in politics.” You can count the political figures who say and mean that on the fingers of one hand. But that was the uncompromising message delivered by John McDonnell to Occupy London activists. Everyone joining tomorrow’s anti-austerity march in London called by the Trades Union Congress should take heed of what is happening in Greece if we are going to find ways to move beyond resistance to the deepening crisis. The deal struck between Edinburgh and Westminster to hold a single question referendum on independence in the autumn of 2014 should not obscure the fact that the needs of ordinary Scots are secondary to this political manoeuvring. So the ConDem coalition is to spend £50 million on marking the centenary of the outbreak of World War One. But the flag-waving nationalism that will surely surround the events will with certainty obscure the truth about the first global conflict. At last, the big bucks to be made out of forcing disabled people through humiliating tests to cut their benefit are out in the open, thanks to detective work by a member of the Scottish parliament. By jingo, Labour is the true patriotic party! A party of true patriotism, making tough decisions in the “national interest”, hiring top business figures as advisers and a party that will stand up to the trade unions. Tories? Lib Dems? Wrong, just wrong! If you want to know what a future Labour government at Westminster might look like, the leader of the party in Scotland, Johann Lamont, has given the game away. We have been offered details of some the frequent texts exchanged between Vince Cable, the business secretary and leading Lib Dem, and Ed Miliband, the leader of the Labour Party. How they were obtained, we don’t know. But we thought the “public interest” would be best served by publishing extracts. In the light of the ConDems plan to turn Britain into a total market state and Ed Miilband’s plan for Labour to “save capitalism from itself”, we present a 2012 draft of the Agreement of the People (with deference to the Levellers and their 1647 version debated at Putney). A strange case is due to be heard in Slough County Court later this week. The National Trust is seeking an order for possession against “Diggers2012 and Persons Unknown”. The NT also wants a “perpetual final injunction” against the “Diggers” of Runnymede Eco-Village. A ruling in its favour would prevent any camps being set up on Cooper’s Hill in Runnymede, west of London, near where the Magna Carta was signed in 1215. There are people out there who harbour hopes that a future Labour government under Ed Miliband would be a radical administration that responds to ordinary people’s aspirations. Dream on. Grossly offensive as well as totally hypocritical sums up the presence of David Cameron and George Osborne at the London Paralympics at a time when many people with disabilities are fighting to maintain their meagre benefits. Archbishop Desmond Tutu’s call for the prosecution of Tony Blair at the International Criminal Court in The Hague for war crimes comes as Labour plans to restore the former prime minister to a prominent position in the party. Following the official announcement by a Tory minister that it is “morally wrong” to pay people like plumbers, carpenters and other socially useful citizens cash as a way of reducing household bills, we present a number of other dilemmas to discuss during the Olympics. When a café owner has to change its name, shops are banned from having a certain number of linked rings in their window, roads are barred to ordinary motorists and thousands of police and soldiers occupy a quarter of a major city, it can only mean one thing – the Olympics are here. John Ruskin believed that “the measure of any great civilisation is in its towns and cities and the measure of a city’s greatness is to be found in the quality of its public spaces, its parks and squares”. While the present Parliament wrestles with a half-baked attempt to turn the House of Lords into something resembling a democratic body, they could always reflect on the legislation introduced into the House of Commons in March 1649. The fanfare launch of a Manifesto for Global Democracy backed by significant thinkers ought to be a cause for celebration. Unfortunately, its content is so weak that at best it’s a missed opportunity and at worst a step backwards. The way Barclays and several other banks colluded to fix inter-bank interest rates is a blatant example of what is actually par for the course in big business. Price fixing, secret agreements to divide markets, cartels and other nefarious goings on are as old as capitalism itself. The euro is heading for collapse, major banks were downgraded overnight, the global economy is plunging into depression and Ed Miliband chooses this very moment to play the reactionary race card. If the Church of England really wanted to attack the government, there are plenty of issues it could seize on: child poverty, homelessness, unemployment, inequality, bankers’ bonuses, spending cuts etc etc. Opposing gay marriage neatly reveals the CoE’s priorities. Parliamentary election results across the Channel indicate that Francois Hollande’s Socialist Party will gain a majority in France’s National Assembly. But in case anyone gets too excited about a revival of the European “left”, a quick health check of electoral politics is needed. The choice between living in a European so-called “super state”, as advocated by German chancellor Angela Merkel, or an independent, “sovereign” state, as viewed by prime minister David Cameron is, in reality, no choice at all. The establishment have milked it for all it’s worth but tomorrow, after the last stage-managed event surrounding that diamond jubilee is over, for the vast majority of the population it will be back to reality with a bang. Jeremy Hunt’s appearance at the Leveson inquiry yesterday was obviously a good day to bury bad news, and not just on the part of the government. While chancellor Osborne was abandoning plans to limit tax relief on charitable donations, unions were signing off a pensions deal that will leave over a million worse off. As unemployment rises and austerity measures bite, the scapegoating of minorities is growing across Europe. High up in the firing line are, as always, members of Europe’s 12 million-strong gypsy and Roma communities. A year after the Arab Spring found its echo in the Puerta del Sol in Madrid, where a massive people’s assembly took control of the famous square, a new “Global May” is scheduled for an international launch tomorrow. Political crisis is spreading like a forest fire through Europe following the inconvenient intervention, for the ruling classes that is, of millions and millions of voters in Britain, France, Greece and now Italy. When an average of two-thirds of registered voters boycott an election – in some areas over three-quarters abstained – it is another sign of a deep disillusionment with mainstream politics and parties. As an exercise in democracy, Thursday’s local elections throughout Britain don’t really cut the mustard. Voters are presented with a range of parties committed to austerity policies and local authorities that are, in effect, adjuncts of central government. Theresa May’s palpable discomfort over the Home Office’s inability to read a calendar can only add to the general disdain voters feel for the political class which goes beyond the issue of Abu Qatada and his intended deportation into the hands of Jordanian torturers. Last Thursday, a man in Modesto, California, whose house was scheduled for foreclosure, shot and killed the sheriff’s deputy and the locksmith who came to evict him. The Coalition’s proposal to limit tax relief on charitable donations to £50,000 per year or 25% of a donor’s income has touched a raw nerve within the government’s natural constituencies – so called “wealth creators” and those who back the notion of “the big society”. The Bradford West by-election triumphantly won by George Galloway confirms that Labour’s support in working class communities is extremely fragile and that a major political crisis is coming to a head in Britain. Politics, like most things in our globalised capitalist society, has become a commodity for sale at market prices. The cash-for-access scandal is only the latest case in point. These are the words of George Barda, a member of Occupy London, who along with dozens of others, was thrown out of the encampment outside St Paul’s in the early hours of this morning. Are the Yes Men – a group of anti-corporate activists who stage amazing stunts – just an insignificant bunch of pranksters? Those who control one of the world’s biggest spy companies and their corporate paymasters don’t think so. The workfare scandal of forcing the unemployed to work for businesses for free or lose benefits has lifted the lid on outrageous profiteering at the expense of the jobless and taxpayers in general. Grace Harrington was sitting quietly in the public gallery of Glasgow City Chambers listening to Labour councillors agreeing a further £43m of budget cuts. Out of the blue, she was grabbed by staff and "huckled", as the expression goes, out of the building. As a Traveller, I am sickened by the nomination of Tory council leader Tony Ball for the "Leader of the Year" award organised by the Local Government Information Unit and investment advisors CCLA. The lives of women in Britain are being devastated by rising unemployment, rising prices and the coalition's spending cuts. As Occupy London waits on the Court of Appeal’s decision on whether the City corporation can proceed with its eviction of the camp outside St Paul’s, the obituaries are already being written. On the 200th anniversary of Charles Dickens’ birth just about everyone wants to lay claim to the most famous author of Victorian England. The Prince of Wales and Duchess of Cornwall laying a wreath in Westminster Abbey surely takes the biscuit, however. For all the excitement generated over the reluctant decision by Stephen Hester, the chief executive of the Royal Bank of Scotland, to decline his near £1 million bonus, this is not a zero sum game. Sometimes it takes a comedian to tell it as it is. Rory Bremner just about summed up the real state of affairs as he mused in the columns of the Financial Times. The palpable anger over the £963,000 bonus in shares awarded to state-owned Royal Bank of Scotland chief executive Stephen Hester has to turn into some direct political and industrial action if society is to see an end to this kind of obscenity. As the tent city Occupation outside St Paul’s, supported by sister occupations at Finsbury Square and the Bank of Ideas, amarks its 100th day, it’s time to celebrate its achievements. Suddenly it’s alright, if not de rigueur, for the political elite to talk about capitalism – so long as you end up praising the system rather than burying it. The sinking of a 21st century hi-tech cruise ship in calm waters, on an established route in well-known waters off the coast of Tuscany has set alarm bells ringing for many reasons. It is hardly surprising that Scots hate rule from Westminster – they are not alone. Millions of workers all across the UK have come to hate the ConDems Coalition for imposing the full burden of the economic crisis on their backs. While Ed Miliband brings Labour into an ever-closer alignment with Tory arguments (and policies) on the economy, it falls to the Financial Times to ask whether capitalism can respond to an historic crisis of legitimacy. Interviewing the prime minister for the Sunday Telegraph, Matthew D’Ancona curiously concluded that David Cameron was a man with a mission – “to save capitalism from itself”. The assimilation of Labour into accepting the Tory Party’s narrative is moving at such a pace that it is no wonder that David Cameron finds his party ahead in the polls. The year ends as it began, with great social movements of people who have taken to the streets because other means of democratic expression are either cut off, denied or wilfully ignored. The laurels being heaped on former Czech president Václav Havel, who died at the weekend, by reactionary world leaders should not blind us to his courageous role in the break-up of Stalinist rule in eastern Europe. If there’s one phrase that’s dominated parliament, the airwaves and the media over the veto used by David Cameron to block a new European Union treaty, it is the “national interest”. It’s an Orwellian phrase, designed to obscure rather than reveal the truth. In the end, the “choice” was between a British government determined to protect the City of London at all costs and the rest of the European Union agreeing to allow bureaucrats to impose co-ordinated spending cuts on their increasingly angry populations. Perhaps it is fitting on the day that the slaughter of World War One finally ended, the Treasury is said to be preparing for “economic Armageddon”. During the 40-or so months since the crash of 2008 a new wave of caring, sharing philanthropy has risen slowly to the surface, culminating in the Bellagio “summit” now under way on Lake Como. Teaching a fish to ride a bicycle. That’s how even a Daily Telegraph reader describes the pipedream of making the City of London, bankers et al act in some kind of “ethical” way. The General Assembly of Occupy LSX has called for a global debate about a very different future to the one leaders gathering for the G20 in Cannes are planning. The resignation of the dean of St Paul’s over the occupation outside his front door tells us a great deal about the deepening ideological crisis inside the establishment and the fragility of its institutions. When 90% of those responding to a consultation on new anti-squatting laws say changes aren’t needed, what does the ConDem government do? Rush through new legislation that makes squatting a criminal offence for the first time, of course. When more than a quarter of a governing party’s MPs defy instructions and vote against their own prime minister, you sense the political storm clouds are gathering over Westminster. A key discussion taking place within the global occupation movement is what kind of “demands” (if any) should be made and who they should be addressed to (if anyone). This conundrum gets to the heart of the matter. “This is what democracy looks like,” says the first statement agreed by the mass assembly of 500 held yesterday outside St Paul’s Cathedral in the City of London. The contrast couldn’t be more stark. Finance ministers in grey suits in Paris trying desperately to save the system while ordinary people in nearly 900 cites in 78 countries take to the streets tomorrow to demand change. As the dole queue lengthens and living standards fall faster than at any time since the 1930s, you’ll be pleased to know that there is work there for all who want it in a planned new government agency. As the political élite in Scotland focus on wrangling over the future of the union with England, they are united on one thing – the need to impose the full burden of the crisis on people already struggling with low pay, part-time work and fuel poverty. The empty rhetoric that was David Cameron’s speech to the Tory Party conference speaks volumes about the dire state of the governing political class in Britain (and elsewhere) just as the global economy heads for the cliff. Some media commentators have suggested that Ed Miliband’s speech to the Labour conference marked a clear break from the politics of the last 30 years and as such deserves support. New New Labour (NNL) has not only confirmed that in essence it is indistinguishable from the other mainstream parties but that also the present form of what passes for politics in Britain is well past its use by date. The dreaded “C” word is making its reappearance as commentators and economists alike openly question whether it’s capitalism as a system that’s in the mire rather than merely the banks or the euro. Take one struggling NHS Trust, add in an exorbitant build-and-maintain private contract – all this is New Labour’s handiwork – and the result is a financial disaster containing a threat to patient care. The crosscurrents that flow in the world of style are usually at least one remove from the humdrum daily lives of millions of people. Which is why fashion and celebrity have such a grip on the imagination. While the attention of most people was focused on the illegal invasion of Iraq in 2003, legislation was making its way through Parliament that would open up media ownership and create the conditions for Rupert Murdoch’s empire to flourish in Britain. A full-blown constitutional crisis is emerging within the British state, with the country’s top policeman challenging the authority of the prime minister who himself is connected to phone hacking through his former press secretary. The somewhat contrived outrage by politicians of all parties over the hacking of phones by the News of the World should not blind us to the permanently changed relationship between Parliament and corporations that goes well beyond Murdoch’s News Corp. Although former prime minister Gordon Brown is rightly upset about the underhand not to say criminal methods used by the Murdoch press to obtain sensitive medical details about his son, the fact remains that New Labour did nothing to upset the applecart while they were in power. Nick Clegg’s statement that "the pillars of the British establishment are tumbling one after the other," should be taken seriously. The question is why now? What is driving the break-up of the institutions that rule Britain? And what follows? Lest anyone gets too excited about the impending closure of the News of the World in the wake of the phone-hacking scandal, it’s as well to remember the role and power of the media in society. Scratch a liberal and you’ll find just about any political disease you care to name. Just look at the Lib Dems’ contribution to the reactionary coalition. Or just read The Observer’s call for Nato to “up its game and finish what it started in Libya”. With official opposition to the government’s policies virtually non-existent, the only significant criticism of the Coalition is coming from areas of the establishment usually seen as traditional supporters. Connecting for Health, the £12 billion national IT programme for the NHS launched in 2002, is in serious trouble according to the National Audit Office, and mighty have to be scrapped. The next wave of the Coalition’s attack on the living standards of trade unionists was launched this week by cabinet ministers. The unashamed aim is to redistribute wealth to a raft of private employers. It is class war with a vengeance. With or without the alternative vote system, the long-term break up of traditional party allegiances is confirmed by yesterday’s national and council elections. Last year’s general election stalemate may well prove the rule not the exception. At last year’s general election, we argued that a vote for any of the major parties would be a wasted vote. Subsequent events proved we were right and on May 5 we again urge people to withhold their vote in the national and council elections and in the referendum. One does not normally speak to my people at this time of the year but in the light of the splendid marriage between my grandson Prince William and Miss Kate Middleton, it is appropriate to convey a few words to what I am sure is a truly grateful nation. On this day 50 years ago, the CIA launched its abortive attack on the Cuban revolution with an invasion at the Bay of Pigs. When, on this day 50 years ago, cosmonaut Yuri Gagarin became the first man to orbit the earth, it seemed to many observers that the Soviet Union was destined to triumph over – or at least equal – capitalist countries like the United States. The People’s Assembly Network (PAN) event held in London at the weekend took place against a dramatic background of mass actions against existing authorities from Wisconsin USA, to Tahrir Square in Cairo. To listen to the supporters of the Alternative Vote system, you would think that a 'Yes' vote in the May 5 referendum would lead to a miraculous new lease of life for the clapped-out parliamentary democracy we have now. Meetings around the country are discussing where the anti-cuts movement can go from here. Despite the massive turnout, the TUC’s March for the Alternative has not, as everyone knows, stopped a single attack on jobs, services, benefits or grants to the arts. The biggest demonstration by the trade union movement and its supporters for a generation reveals both the depth of feeling against the Coalition government’s cuts and a determination to do what it takes to succeed in this struggle. The time to move beyond resistance is now! The right-wing leadership of the TUC sees tomorrow’s anti-cuts march as a one-off protest that merely “sends a message” to a government which has launched the most comprehensive attack on living standards, jobs and services since the 1930s. March 26 is, however, where the fight to bring down the Coalition gets under way in earnest. Just in case you think the overwhelming Parliamentary majority of 544 for military action against Libya – only 13 MPs voted no – reflects popular opinion, think again. Seldom has the view of the House of Commons been so diametrically at odds with that of the electorate. A new survey shows that there is a “crisis in European democracy” as faith and trust in politicians plummets to new lows. No surprises there but, equally, an opportunity to create a different future. Many have praised the Japanese people’s resilience and preparedness in response to the earthquake and tsunami which has killed thousands of people with many more unaccounted for. On both sides of the Atlantic, a massive onslaught is under way with the single purpose of dramatically reducing the share of national wealth going to working and retired people in favour of the rich, powerful elites who own and control the economy. As WikiLeaks founder Julan Assange works on his appeal in London against extradition to Sweden, Private First Class Bradley Manning will begin another 23 hour day in a 6ft by 12ft cell in the Marine Corp base at Quantico, Virginia. Only Manning now also faces the death penalty. If Colonel Gaddafi is said to be “delusional”, believing that all Libyans love him when clearly they do not, where does that leave Ed Miliband? At best he is in denial about 13 years of New Labour. At worst he takes no responsibility for his actions and ought to seek help. At a recent meeting of students who had come together from a range of occupations against the rise in tuition fees, a proposal about creating People’s Assemblies was described as a “deeply philosophical” question. The remark, which was not made in a derogatory way, was spot on. The harsh three-year jail sentence handed to former Scottish Socialist Party leader Tommy Sheridan for perjury involving the reactionary News of the World, contrasts with the six months given to sleazy private detective Glen Mulcaire, who was paid by the same paper to illegally tap phones. While Labour was preparing to celebrate retaining its seat in the Oldham bye-election, half an hour down the road in Manchester its councillors were announcing 2,000 redundancies from April. 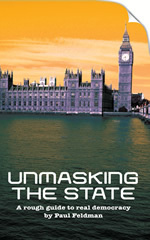 In practice, they are doing the government’s dirty work – with the support of the national party led by Ed Miliband. In the end, of course, it was a question of saving time and, above all, money. Even the official report into the BP gulf oil disaster has been compelled to come to this conclusion. News today that Britain’s voting system is said to be “broken” comes as no surprise. What is left unsaid in a report by the Institute for Public Policy Research, however, is that the political system itself is in a state of terminal decline. Embarrassed by the vitality and determination of the student movement against higher tuition fees, some trade union leaders are making militant noises about co-ordinated strike action against the government’s spending cuts. Whether words become deeds is debatable. US vice-president Joe Biden has raised the stakes in a global cyber war between those fighting for the right to information about the secret activities of governments and those who protect the warmongering interests of global capital. Even as local authorities were digesting the destructive impact of the Cameron-Clegg Coalition’s savage assault on their funding, it was revealed that the government is hard at work preparing plans to deal with a sharp downturn in 2011. Absolutely savage cuts in council spending announced by the Coalition yesterday will lead to tens of thousands of jobs losses and the devastation of essential local services. The question is: How can this be stopped? The continuing wave of student protests against increased fees and education cuts is highlighting a deepening crisis within the British state, one that presents opportunities as well as threats. Local councils in England will shortly get the news they’ve dreaded hearing ever since George Osborne announced his massive cuts package last month – details of the reduced funding they will get from Whitehall for 2011-12. The question of how to stop the Con-Dem government’s programme of cuts lay on the table, but remained unresolved at the massively attended Coalition of Resistance conference in London on Saturday. There are some in and around the Labour Party who believe – or perhaps imagine – that the election of Ed Miliband opens up the prospect of a qualitative break from the Blair-Brown years. After reading his first major interview as party leader, you have to say they couldn’t be further from the truth. The explosion of anger on London’s streets yesterday was not confined just to the students who attacked the Tory Party HQ. It was also expressed in the fact that unexpectedly vast numbers of students and lecturers turned out to demonstrate against soaring tuition fees and education cuts. Political innocence is one thing. But desperately hanging on to a blinkered point of view in the face of overwhelming evidence to the contrary is altogether more dangerous. Shocking differences within society are revealed in the Equality and Human Rights Commission’s first ever report into fairness in Britain. And the future looks serious, with the report warning that “the current economic and social crises threaten to widen some equality gaps”. As the coalition begins to unveil its public spending cuts, the muddle-headed idea that they are simply “ideologically driven” remains fashionable, especially among those who think protest will produce a government U-turn. Perhaps the most telling statistic in the Labour leadership election was the abysmal turn-out in the trade union section of the electoral college. At 9%, it was lower than during the ballot for the party’s deputy leadership held in 2007. Pope Benedict XVI’s outrageous attack on "atheist extremism" and "aggressive secularism" in Britain has the virtue of providing clear alternatives. We can either shape our own destiny or, as the Vatican and other religions desire, leave our future to divine intervention. The Pope’s visit to Britain, costing the taxpayer up to £20m, is stirring up a whirlwind of protest. Lest anyone thinks this is a storm in a tea cup, it would be wise to look at the man and the crisis-ridden institution he represents. “We are alarmed to be informed that, despite earlier agreements with the Police and Birmingham City Council, West Midlands Police are attempting to stop the trade union demonstration against public service cuts from marching past the Conservative Party conference at the International Convention Centre on Sunday 3rd October... "
UK Prime Minister David Cameron has ended his search for a new cabinet minister responsible for increasing British exports and attracting foreign investment. He will ennoble HSBC chair Stephen Green to ease his entry into government. It has taken an American newspaper, The New York Times, to ferret out the corrupt relationship between Scotland Yard and the Murdoch-owned media empire. In the four years since A World to Win launched its weekday news blog, we have written over 1,000 of them – that is somewhere in the region of 650,000 words! Now the blog team is going on annual holiday. That the first serious opposition to the government’s cuts programme has come from within the Tory Party rather than from the usual quarters, reveals the only the depth of the financial crisis but mounting problems within the Coalition itself. The issue of women wearing the full-body burqa, which is up for the debate in the French parliament this week, has stirred up a hornet’s nest of opinions. It’s not too surprising, given that the question of covering up or not raises religious, cultural and sexual issues. Tory Chancellor Osborne’s collection of savage spending cuts and dramatic tax changes is intended to engineer a massive transfer of wealth to shareholders, whilst condemning millions to a life of grinding poverty on reduced benefits or on the dole. Claiming that “we are all in this together” is simply a lie. When David Laws was forced to resign last month, we asked if the Tory right wing was trying to destabilise the Lib-Con coalition. With the announcement that Liberal Democrat Energy Secretary Chris Huhne is leaving his wife in the wake of gutter press exposure of his relationship with economic advisor Carina Trimingham, the cracks are widening. The trouble with conspiracy theories is the impression given that “they” – bankers, politicians, the military etc – are always in control of events and will thus determine their outcomes to suit themselves. How wrong-headed and disarming this approach is. Perhaps John McDonnell could draw some comfort from Groucho Marx after his exclusion (for a second time) from the contest for leader of the Labour Party. Groucho once quipped that he wouldn’t want to belong to any club that would accept him as a member. As the coalition government lines up massive spending cuts that even prime minister David Cameron acknowledges will shake society, a strategy that goes beyond resistance is needed if we are to defeat the Lib-Tory government’s plans. The story of how David Laws, the Lib Dem chief secretary to the Treasury, came to step down from his post at the weekend after just a couple of weeks in the job is a curious one, to say the least. The £6.2 billion cuts package announced by chancellor George Osborne and his Lib Dem partner in crime David Laws will cost jobs and hit services, and are just the opening round in plans for savage reductions in public spending. The big issue is how workers and communities can defeat these plans. For all its outward appearance of partnership and harmony, the Lib-Con coalition government is an inherently unstable regime. Patched together solely to impose the burden of the economic and financial crisis on the backs of ordinary people, the coalition is a high-risk operation. With the general election now firmly in the realms of a TV game show, the degeneration of mainstream politics is clear for all who care to take note. Another ninety minutes of well rehearsed assertions could not disguise the fact that in essence, there is nothing between the major parties. Such is the decline in traditional political allegiance in Britain that one appealing TV appearance can thrust an average performer to apparent super stardom as the general election comes to resemble a TV talent show rather than a political campaign. There were apparently about 80 rules agreed between the major parties about how last night’s TV debate should be conducted. We can reveal some of the rules for the first time – and they go a long to explaining why those viewers who didn’t switch channels had to endure what they did. Tory leader David Cameron claimed today that his party and New Labour have swapped places in British politics – the Conservatives are now the “radicals” while New Labour are the “reactionaries”. The reasons for hanging on to your vote at the general election next month are mounting. But surely the most significant is the fact that the electorate is being kept in the dark by a conspiracy of silence by all the major parties capable of forming a government. The case for hanging on to your vote in the general election, while exercising your democratic right to go beyond the present exhausted political system, has more to do with the way we look at the world than most other considerations. The spectacle of former Cabinet ministers Stephen Byers, Patricia Hewitt and Geoff Hoon peddling their services to a fictional US company for rates of between £3,000 and £5,000 per day has brought Parliament into even greater disrepute – if that is indeed possible. You may recently have received a petition from a well-meaning friend with a request to sign it and circulate, or it might have come to your notice in the form of an appeal from Greenpeace – “it” being the planned creation of one of the world’s largest marine reserves around the Chagos Islands in the Indian Ocean. History has, of course, seen many manifestos come and go. But the social transformations needed to lift societies out of crisis do not simply appear spontaneously. It is vital to break free from received wisdoms and stereotypes and work out solutions to problems that until now have appeared insoluble. It’s a measure of New Labour’s “achievement” in over 12 years of government that whichever party wins the upcoming general election will achieve scant support from voters because larger numbers than ever intend to stay at home. According to the latest NatCen British Social Attitudes (BSA) report, the number of people who feel they have a “civic duty” to vote has fallen sharply.